A £50 Deposit will secure your Booking and comes off your hire cost. We will accept payments by instalments (on request) with final payment 6 weeks before arrival date. 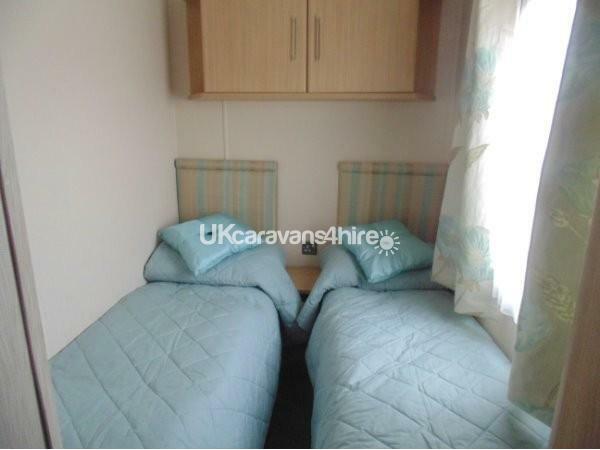 We require a £100 Refundable damages/security deposit this is refunded within 14 days after departure if the caravan is found to be clean and tidy with no damages or extra costs incurred by you during your stay. 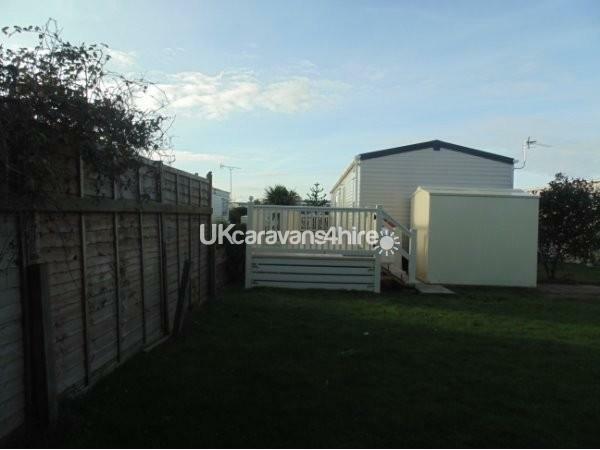 All we ask is that you look after our holiday home and leave it in the condition you found it. Dates you are enquiring about. Number of Adults / children in your booking party. 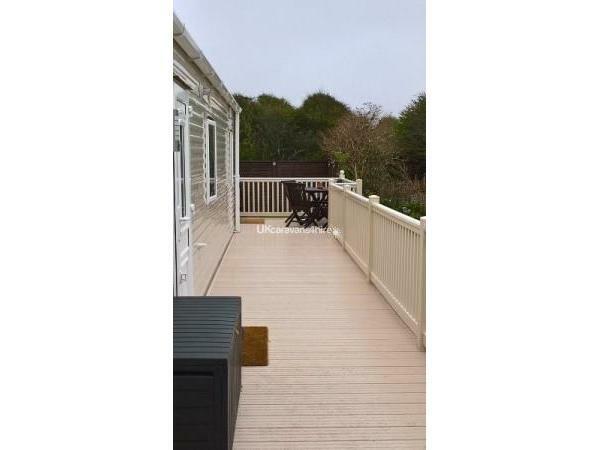 This information will help us deal with your enquiry..
Our beautiful 3 bed 2013 Carnaby Aspire caravan is in a quieter area of West Sands on the award winning Bunn Leisure holiday park, On the doorstep of the Medmerry nature reserve and large children's play park and a few min's from main reception, yet is less than 10 min walk or 3 min drive at 10mph to the main waterfront complex & mile long beach with views to the Isle of white and Portsmouth. 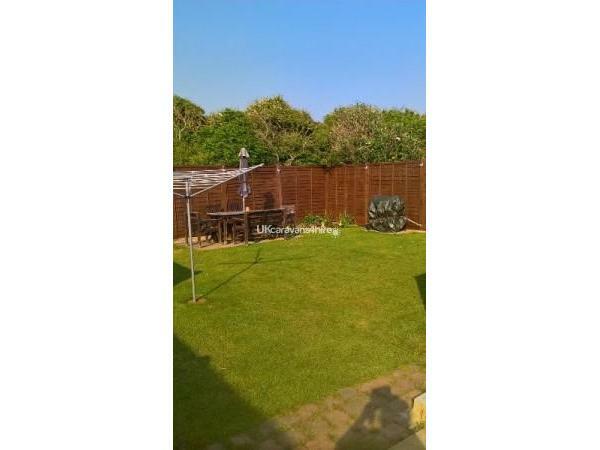 You will find our large 47'x6' gated veranda with table and chairs that leads to our private enclosed 28'x24' private enclosed garden that has a furnished patio, Gas BBQ (with gas supplied), washing line and ample space to play. sun loungers are also available in the garden. Is light & spacious with a neutral modern décor and has full length windows to the front, the layout is an open plan living area where you will find 2 comfy freestanding sofas and an arm-chair, coffee table, 32" Free-view TV with DVD player, DVD's, XBox 360 and an electric fire with a large mirror above. 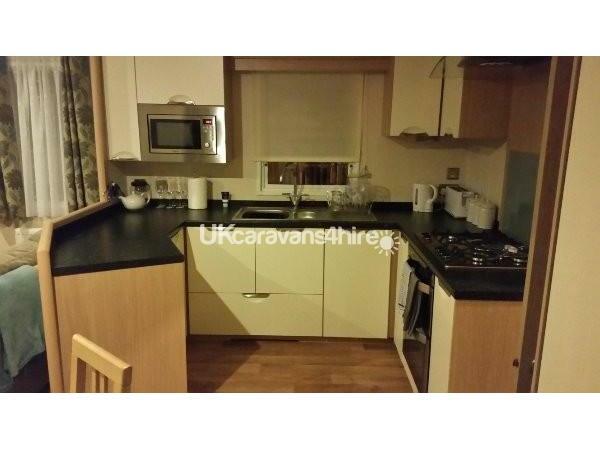 The kitchen area is also spacious and is equipped with a 5 burner hob, full size oven and grill, microwave, kettle, toaster and a full size integrated Fridge and Freezer. There is a free standing dining table and chairs that can be extended if needed. We also cater for the little people and have provided Children's cups, plates, bowls, cutlery, microwave baby bottle steriliser, highchair, travelcot (available on request) etc. 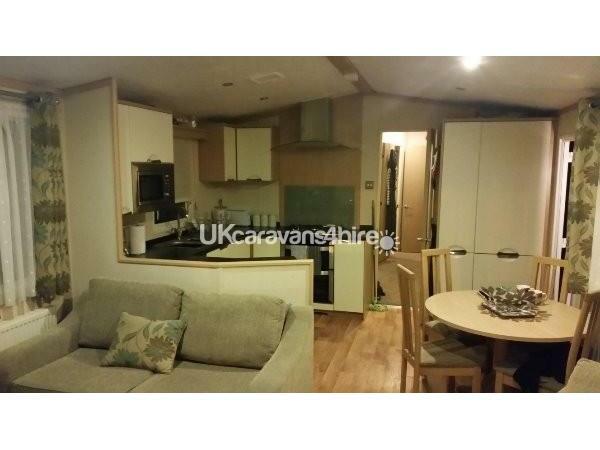 There is everything you would find in a kitchen including T-towels, dish-cloth, washing up liquid and all cleaning materials needed to keep the caravan clean and tidy during your stay. 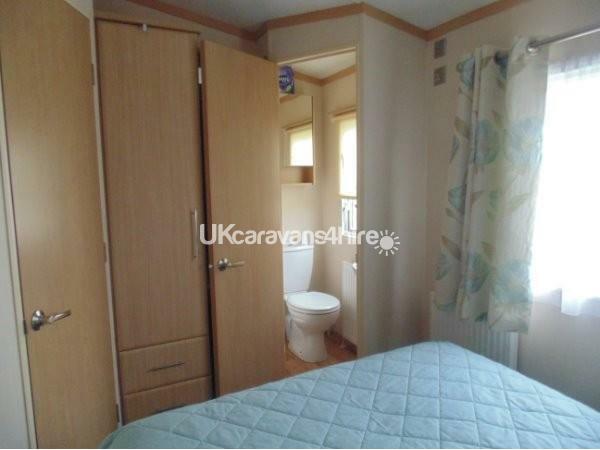 There is an iron, ironing board, mop & bucket and a hoover. The dining table is extendable to fit 6 comfortably. 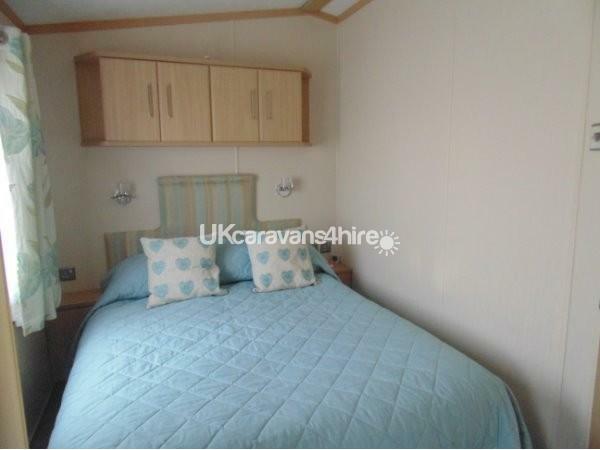 with comfortable memory foam mattress and en suite loo & hand basin, in this room there is over head storage and a wardrobe with drawers underneath, there is also have a 20" free-view TV...and a hair dryer. has overhead storage and a wardrobe with drawers underneath, board games and baby equipment can also found stored away in this room. 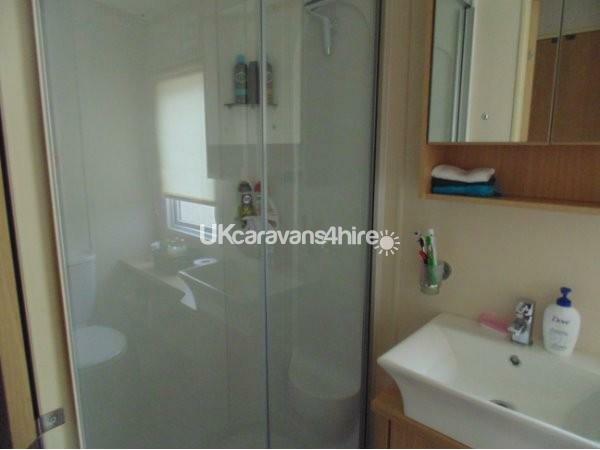 The shower is Full size and is fitted with a powerful thermostatic tap, ample storage, large basin with mixer tap and the main loo. There are Board games, playing cards, colouring books & pencils and a small selection of baby/children's toys all hidden away and available for you to use. We also provide at no extra cost. A Travel cot, baby chair, Playmat, Baby bath and high chair, please confirm if you require these when booking. 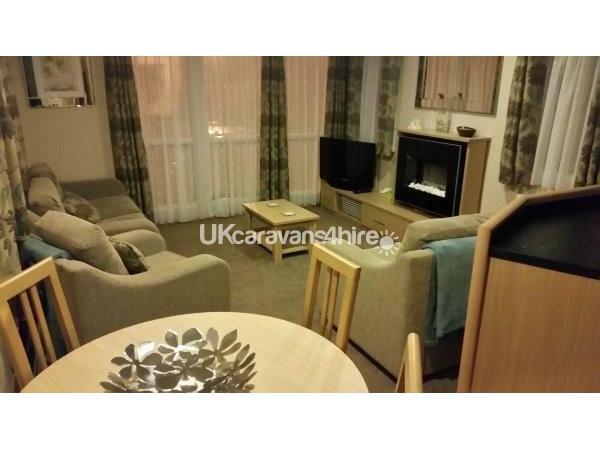 We offer Direct to caravan high speed unlimited WIFI with unlimited devices at £10 for weekends/ mid weeks and £15 for 7 days, if you are planning to stay longer 10 days £20 and 14 days £25 ..
For longer stays 14 days + we provide a cleaning and bed linen change after 7 days at no extra cost. We are fully checked and passed by Bunn Leisure for Independent Letting, you will receive a full booking contract with our T's & C's for your/our protection/security. Your arrivals paperwork is an official Bunn Leisure document. Additional Info: 3 Entertainment venues. The Waterfront complex with the Embassy entertainment venue, Ocean Bar, Smugglers restaurant, Solent view (adults only bar), Amusement arcade & Oasis leisure complex, White horse Leisure complex, newly rebuilt and due to open Easter 2019 with 10 pin bowling, indoor sports hall, children's soft-play, bar's / restaurants & outdoor pool. Hi Julie, I’m so glad you enjoyed your stay. Thank you for your lovely words and we look forward to booking your return visit. Best wishes to you and your family. This was a fabulous weekend, staying in an amazing caravan that is definitely 5*. It's spotlessly clean, every need has been considered and there are so many touches that make it feel like home. Communication with Sharon and Darren was superb, from booking, right through to arrival. She even went above and beyond the call of duty in assisting problems with my brothers (not so spotless) caravan! The weather was perfect (considering it was March), so we were able to make use of the seating on the veranda. And to top it all - they had left me a bottle of Prosecco for my 50th Birthday celebrations! Thank you for providing a first class caravan and service. 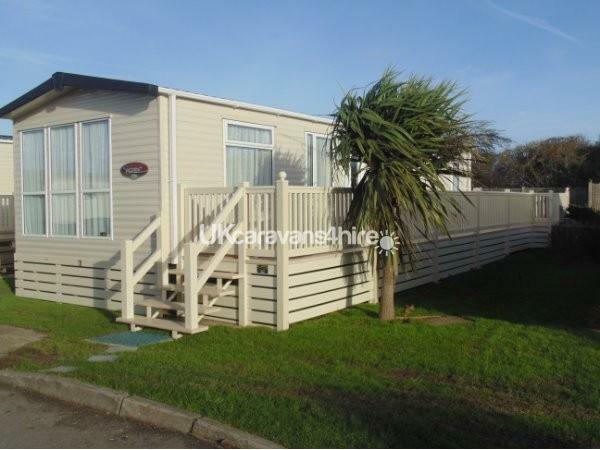 Just spent a 3 night weekend break at this beautiful caravan. 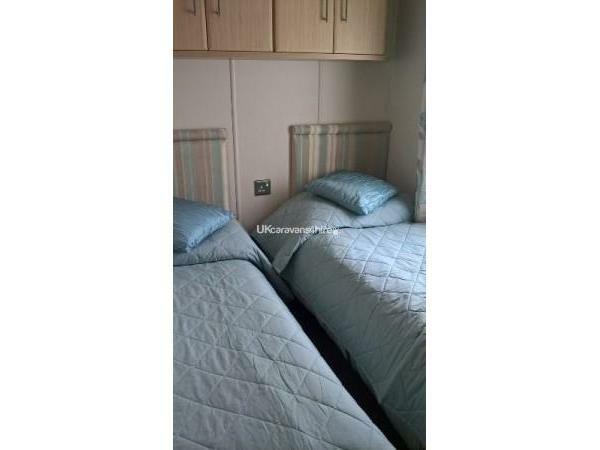 I have to say I have stayed in numerous static caravans previously and this one was by far the best. Travelled with a 10 month old and 2 5yr olds and everything is provided in the caravan which took the stress out of packing an enormous amount of kids/ baby stuff. Fantastic outdoor space we managed to have lunch in the garden. Not bad for October!! We all loved it and will return. Thanks very much.